Altered Frequency is one of the most exciting & energetic acts to emerge in the Klang Valley in recent years with numerous appearances and performances at youth-based events. The band has even had the honour to open for one of the biggest influences in their music, American rockers Switchfoot; who hit Kuala Lumpur on 2 February 2008! Formed in 2000, some of the guys have known each other almost all their lives. Their music carries a message of change and serves as an anthem to live out loud without compromising your values. 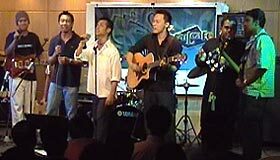 Their debut album "Exalt" was launched in December of 2004 which garnered them a nomination for "Best New English Artiste" in the 2005 edition of Malaysia's premiere music awards "Anugerah Industri Muzik". 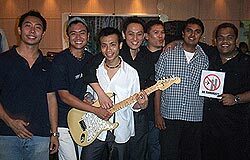 Two of their Singles "Exalt" and "No" hit Malaysian airwaves that same year while a third single "The Sun Will Shine Again" taken off a tsunami aid album dominated the Xfresh charts for the better part of 2005. The band's influence is growing and despite being 2 years old, "Running Back to You" and "No" entered the charts again and stayed at No. 1 on FlyFM's Campur Chart. 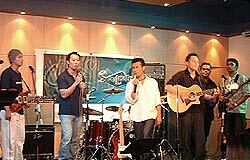 Their current single "Beyond Now" was released in early February 2008 and also made it to the FlyFM Campur Chart. Exalt has already sold over 5,000 copies and the album is still winning fans over; whetting their appetite for more. The band has been hard at work putting material together and have been recording since early 2006 for their sophomore release Transit which is due out by December this year (2008). The band has been blazing a trail all over the country and beyond. 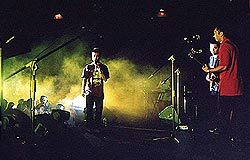 In August 2006, the band went on tour in Australia, rocking the cities of Melbourne and Adelaide. Their hardwork has paid off. Apart from Switchfoot, Altered Frequency has had the privilege of opening for British rockers Delirious in 2006 and in the following year opened for internatiocal rock act Sonic Flood. 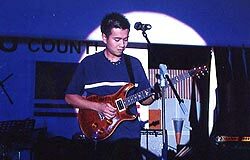 Other event highlights include playing to a 5,000 strong crowd in Miri, the Asia Pacific Youth Alive Conference 2003 and Sonic Fest 2004, Singapore. Altered Frequency's media appearances include Latte@8 with Jason Lo, Hitz.tv's Recovery (hosted by Serena C & Ferhad), TV3's Entertainment Now and Hitz.tv's Aftershock. The band has also been featured quite extensively in print by The Star, NST & KLue. The raw sound that is Altered Frequency draws its inspiration from a variety of musical styles; jazz, rock, R&B or black gospel ... AF listens to them all. Musically the band is still in a state of evolution; developing an edgier feel in their music. Altered Frequency is made up of Andy Yeoh on lead vocals, Kysern Lim on guitars, Agnel Raj on drums, David Gary on bass and its newest member Terry Yeow on guitars/keys who was invited on board following the departure of long-time band member Daniel Wong.